For June’s blog – we will look at some key moments in the University’s history. 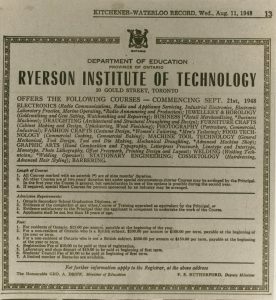 In August of 1948 the Ryerson Institute of Technology was founded “as an experiment in post-secondary education and an alternative to the traditional apprenticeship system”. With only two weeks to advertise – Ryerson opened in September of 1948 with an enrollment of 210 students, each paying just $25 tuition. Advertisement on page 13 of the August 11, 1948 edition of the Kitchener-Waterloo Record newspaper. On April 26, 1963 “An Act Respecting Ryerson Polytechnical Institute” was formally declared by the Lieutenant Governor of Ontario. Along with the change it name from Ryerson Institute of Technology to Ryerson Polytechnical Institute, the school became independent of the various governmental bodies that controlled it and would now be regulated by a Board of Governors. 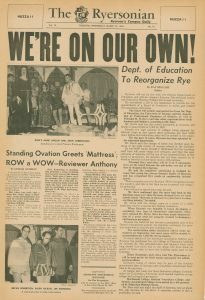 Front page of the March 16, 1963 edition of The Ryersonian, the Ryerson student newspaper. In 1971 Bill 97 was passed in the Ontario Legislature enabling Ryerson Polytechnical Institute the ability to grant degrees. The first 9 degrees, in Interior Design, Business Management, and Geodetic Sciences, were handed out at the May 26, 1972 convocation ceremony. 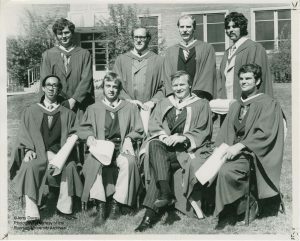 Ontario Premier Bill Davis received an “honourary” Bachelor of Technology in Public Administration at the ceremony. On May 27, 1991 the Ryerson Board of Governors and Academic Council (Senate) gave their support to the proposal the the school seek full university status. 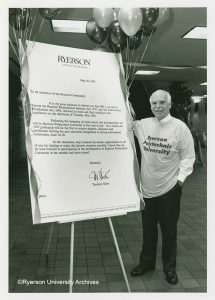 Two years later on June 1, 1993 the dream was realized when Ryerson Polytechnic University was recognized by Royal Assent. 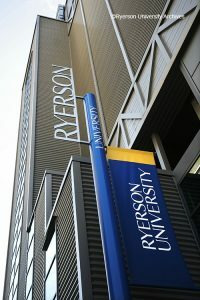 In 2000, seven years after achieving university status, Ryerson opts to change its name to Ryerson University – with its formal name remaining Ryerson Polytechnical University. 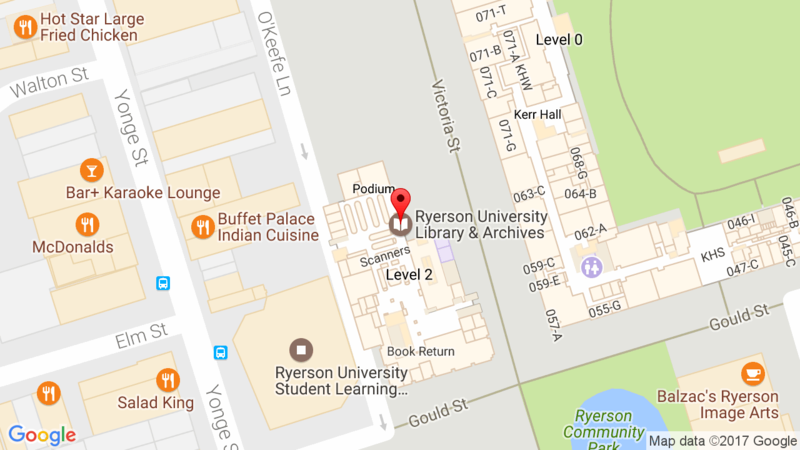 Two years later on June 27, 2002 the name is formally recognized by the government and changed to Ryerson University. There are many more pivotal and significant moments throughout our 70 year history – so many that they would not all fit in this blog, but if you would like to learn more about them – please visit the Ryerson University Archives and Special Collections located on the 4th floor of the library in Room LIB404. You can also take a look at the University’s anniversary page here. Stay tuned for next month’s entry when we look at student clubs and groups.